Very convenient for a Yosemite trip. 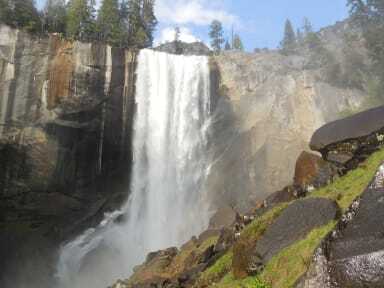 I highly recommend staying here if you are visiting Yosemite. 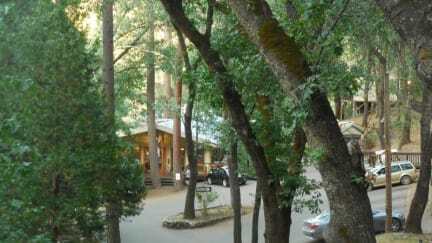 The location in the woods has a cabin feel but with great facilities and comfortable beds. We had hot water for our showers and the bathrooms were clean. The kitchen is very nice, the front desk person was very helpful, and the $16 round trip bus stop that is at the hostel makes getting into Yosemite convenient and enjoyable. You do have to pay to use the hot tub and sauna but we thought it was well worth it. I love the Yosemite Bug! I had a great time while staying there. It was wonderful to use the spa, eat in the cafe, and cook in the kitchen. I was glad to fit in a quick hike on the trail on the property before dark. The dorm room was clean and organized. The one downside was the noise some other guests made when most of the dormmates were asleep. This is nothing to do with the Bug, just a bummer that people were less considerate in a shared space. The staff were wonderful too! We loved our stay here, we stayed in a lovely private room, which was warm, quaint & comfortable. The staff were amazing, knowledgeable & accommodating. The whole site was beautiful & quiet. The location is really practical for catching the shuttle to the park. The food was fantastic, & we would especially recommend the cheese cake!! WiFi is strong, & the kitchen is clean & well equipped. Can’t fault this place at all, it’s one of the best places we’ve stayed at in 2 years of our RTW trip. Lovely place, perfect for after a full day at Yosemite park. The spa surprises you with a hot tub and sauna. There is a rustic restaurant and a free to use kitchen with everything you need. The only issue was the smell of the carpet in our room. Nice place, delicious food. Not far from Yosemite Valley. Definitely recommended!